Stories of women who unabashedly challenged the status quo, and chased their ambitions. In the much-acclaimed Hollywood movie Million Dollar Baby, protagonist Maggie Fitzgerald (played by Hilary Swank) faces several jibes and unsolicited remarks - her own coach addresses her as 'girlie' and fellow male boxers question her femininity - as she invincibly pursues her boxing dream. Closer home and closer to reality, Olympic winner and five-time world champion M.C. Mary Kom did not have it easy either. Nor did Sharda Ugra, who became a sports journalist in the late 80s, breaching what otherwise was a male bastion. 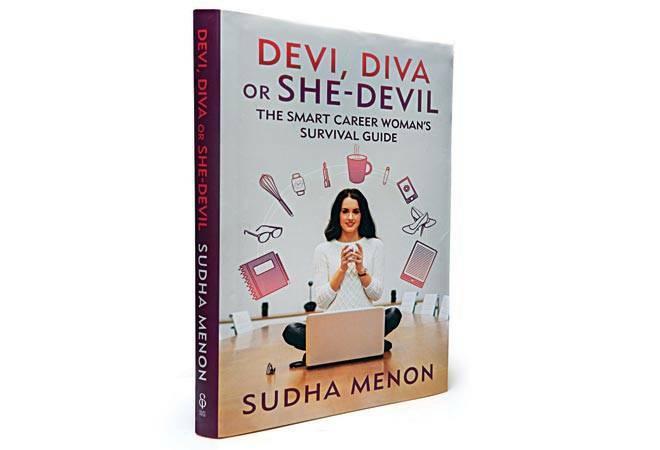 Sudha Menon's Devi, Diva or She-devil brings to the fore stories of women who dared to break away from stereotypes, faced brickbats and challenges along the way, and continued in their career pursuits tenaciously. The book is a compilation of recommendations and anecdotes from the likes of corporate honchos Nisaba Godrej, Devita Saraf and Mallika Srinivasan, as well as other accomplished women from the realms of banking, movies and sports. For some, the journey to the top was laden with sacrifices and setbacks; for the more privileged, it was a test of their capabilities. But they all have one thing in common - having dealt with prejudice at some point in their lives, be it from bosses, colleagues, neighbours, or stay-at-home mothers. There's inspiration in every story, albeit in varying degrees. For instance, for food writer and chef Karen Anand and actor Lillete Dubey, it was a call of passion. Anand started out by writing food columns with her limited knowledge of European cuisine, and Dubey's love for acting and performances drove her to set up a theatre company. Manisha Girotra, CEO, Moelis & Company India, while cutting her teeth in banking, has had to don the role of a 'pizza girl'. Her ascent from PYT (pretty, young thing) to CEO - she went on to head two reputed investment banks later on - required a gritty resolve and a "thick skin". Pankajam Sridevi, MD, ANZ Bengaluru, has a zero-tolerance policy towards sexual harassment, having had an adverse experience in her younger days. Sports writer Ugra's perseverant journey from the being the "odd one out" to being one among the boys, and ackowledged for her work is laudable. The perception that women are not driven by their careers for the long haul - and that marriage and children eventually rein them in - translates into many not getting their due. While these instances are prevalent, the author's unreserved statement that "there are as many stories of gender cynicism as there are (career) women" is, perhaps, a gross generalisation. The book offers solace and solutions to women who are bogged down by family commitments, or the guilt of leaving their kids in day care or not being around for the important milestones. A strong support system at home is one of the prime catalysts for the successes of the women profiled in the book. The book strives to be a confidence booster for working mothers. However, the inclusion of more lesser-known women and their survival tales would have resonated better with a 'career woman' like me.